Just in time for our Royal Wedding Sleepover! 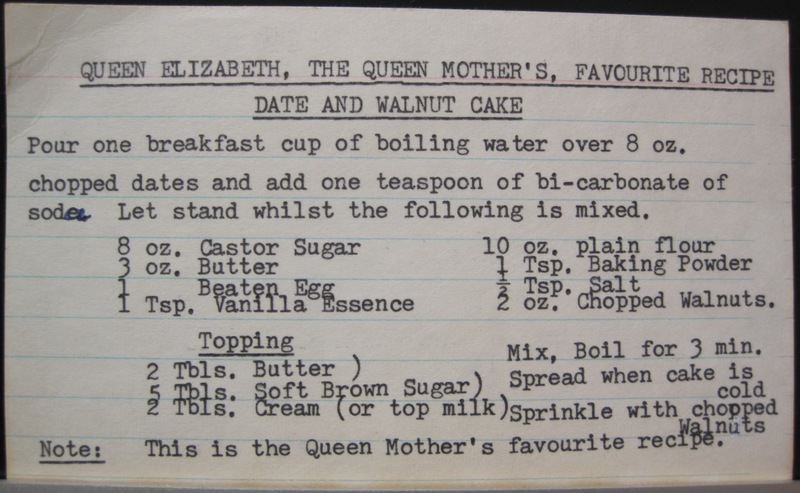 I just love how this card was put together: typed (with a correction made), and the specifications re: “Queen Elizabeth, the Queen Mother’s” (incase you weren’t sure who she was) and then the added note at the bottom: “Note: This is the Queen Mother’s favourite recipe” – and yet there are no real directions. Nothing is written on the back of the card and I didn’t see a second one in the box to explain what temperature to bake everything at or for how long (I usually require very specific directions when it comes to cooking/baking and even then I tend to get it not-quite-right)So I looked up the recipe: turns out it was published sometime in the 1970s and was often used at fundraisers and bake sales (this site was particularly helpful for the baking directions). Results from the Google search mill argue as to whether or not it was ever actually the Queen Mother’s favourite but regardless, my great-grandmother seemed to think it was and made a point to not only keep the recipe, but typed it (most of hers are handwritten) so I thought it would be fun to try. Besides, Date & Walnut Cake seems like a reasonable thing to munch on for a 4am wake-up to watch a wedding taking place across the ocean from the comfort of my aunt’s couch. 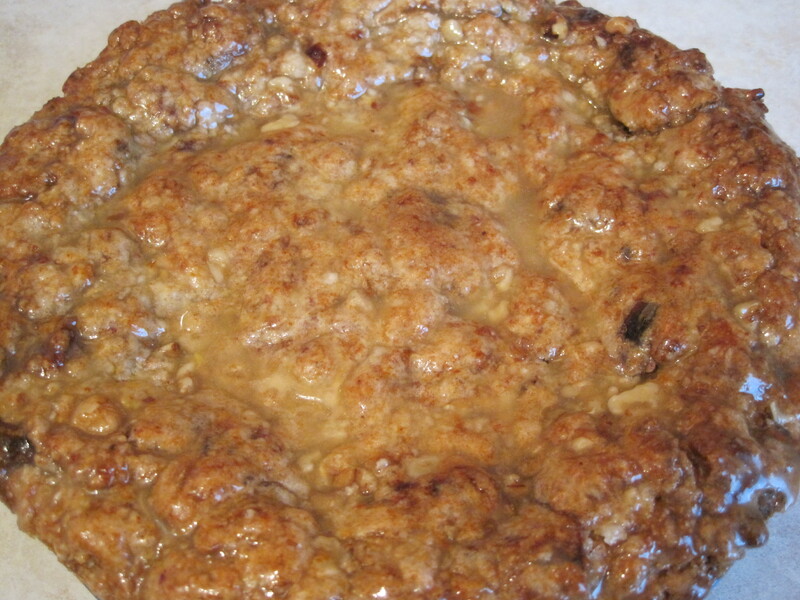 This entry was posted on Thursday, April 28th, 2011 at 10:45 pm	and tagged with Baking, Brunch, Cake, Dates, Queen Mother, Queen Mum, Walnuts and posted in Baking, Breakfast, British, Brunch. You can follow any responses to this entry through the RSS 2.0 feed.